We welcomed our community to campus, as we kicked-off our ‘Ignite Tomorrow, Today’ campaign. 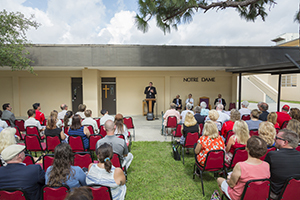 Thank you to Bishop Gregory Parkes for participating in the ceremony, blessing the Notre Dame building which will be the first to be torn down. 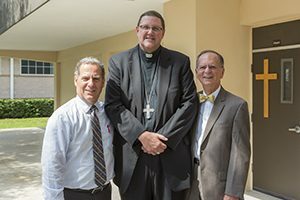 The Mayor of Clearwater, George Cretekos, attended the celebration. 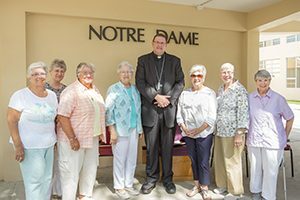 Thank you to all who attended, including several Sisters of Notre Dame, current and past parents, alumni, and friends of CCC. We are excited for the future of CCC and we appreciate everyone’s support and prayers as we enter the next chapter of our school’s history!